The British Land Company plc is one of the largest property development and investment companies in the United Kingdom. The firm switched to Real Estate Investment Trust status when REITs (see below) were introduced in the UK in January 2007. It is headquartered in London. It is listed on the London Stock Exchange and is a constituent of the FTSE 100 Index and a founding member of EPRA. British Land was founded in 1856 as an offshoot of the National Freehold Land Society (later Abbey National) formed in 1849 with the two chief architects of the freehold land movement Richard Cobden and John Bright. Both were ardent supporters of a movement to extend enfranchisement. To qualify for a parliamentary vote it was then necessary to be a landowner and the main object of the National Freehold was to facilitate the acquisition of small plots of land by the people. To do this the British Land Co. would purchase land and then resell it again on the best terms to any customer who wanted to buy it. With extension of the franchise this reason ceased to govern the operation of the British Land Co and it began to operate as a normal business in the latter part of the Nineteenth Century. In May 2005 British Land announced that it had agreed to purchase Pillar Property Plc for £811 million in cash to boost its position in the out-of-town retail property sector. 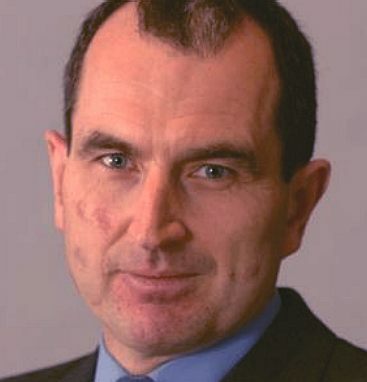 In 2006 Sir John Ritblat, who had chaired the company since 1970, stood down and was replaced by Chris Gibson-Smith. As of 31 December 2012 the property portfolio was valued at £5.4 billion. More than half of the portfolio is invested in retail. This includes the Meadowhall shopping centre in Sheffield, which is one of the largest in the UK, and a large amount of property which has been purchased from and leased back to major retailers such as Tesco, Sainsbury's, House of Fraser and Asda. The other major group of assets is office property, most of which is in central London. This includes the Broadgate Estate, one of the largest developments in London over several decades, and Regent's Place near Warren Street Station. In 2004 it received planning permission for a Richard Rogers designed skyscraper at 122 Leadenhall Street (The Cheese Grater) in the City of London which will become one of the tallest buildings in Western Europe. Construction of the tower began in October 2007 and completion is expected in 2014. In October 2011, the company placed in the number one position, with 135 subsidiaries, on a list of FTSE 100 companies that use tax havens for their operations, as revealed in a database of their subsidiaries compiled for the first time by the development charity ActionAid. Residential is a smaller elements of their overall British Land business, with an estimated gross development value of £850 million (committed and pipeline). BLC also manage a large UK wide residential portfolio on behalf of a third party Trust. Working both independently and in joint ventures with developers, BLC continue to develop, nicely designed and well finished residential developments in London. These are often part of their mixed use schemes but may also be independent residential developments. In London, BLC mainly focus on the higher end of the market and are always conscious of looking for sites and buildings that have a unique selling point so that we can differentiate our schemes from the competition. BLC appear from their own literature to be the antithesis of the affordable ethos that society desperately needs to allow young families to escape the renting trap. That is not to say we don't need property development in the City. Since 2009, BLC have completed of 143,000 sq ft of residential developments in London, with a further 176,000 sq ft due to be completed by the end of 2013. We wonder how much of that might qualify as affordable? In 2009, Chris Grigg was paid an annual bonus of £178,787. In the same year co-head of asset management, Andrew Jones, took home an annual bonus of £350,000 and Head of Office's Tim Roberts received an annual bonus of £310,000. Colliers International, the property agency headed by industry heavyweight Sir John Ritblat, has been sold to Canadian group FirstService via a pre-pack administration. The deal will see shareholders left with nothing. Colliers has seen its shares plunge in recent months as it struggled to deal with mounting debts. Property giant FirstService already had a 30pc shareholding in the company and also owns some of the company's international franchises. It is understood its lender, Barclays, which was owed £18m, will also get nothing. In a statement, Colliers said: "The valuation of the company derived from the FirstService proposal meant that, given the level of debt, there was minimal value - if any - to be attributed to the ordinary shares." Colliers problems date from rapid expansion prior to the financial crisis of 2008. Along with a number of its peers, the company spent millions buying up rivals in debt-backed deals. When the downturn hit, the commercial property market suffered more than most with volumes collapsing. DTZ, one of the oldest companies in the market, was also sold through a pre-pack administration. Colliers was created by Sir John Ritblat through a series of mergers and acquisitions dating back to 1992. Sir John's original company, Conrad Ritblat, was established in 1959. Sir John has remained with the company throughout much of its history, ending up as chairman. 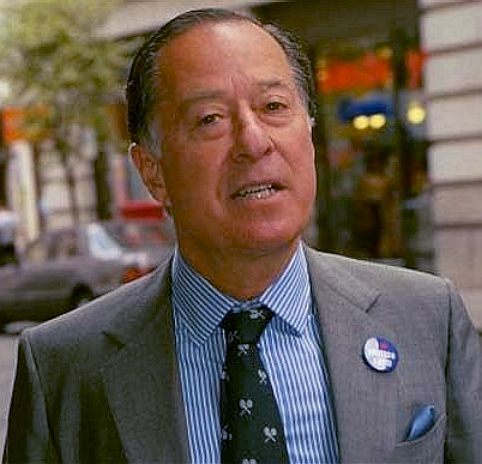 However, he made his name creating one of the largest commerical property investment companies in the UK, British Land. This guidance note provides information about the claims process when Property Income Distributions (PIDs) are paid to non-residents of the UK. From 1 January 2007, legislation gives qualifying non-residents the opportunity to claim repayment of some or all of the tax that is deducted from PIDs that are paid by UK-REITs. Amounts paid out to investors in a UK-REIT are legally dividends and are declared by the company in the same way as any other company dividend. For UK tax purposes, the part of the dividend that represents distributions of the UK-REIT's tax-exempt profits (PIDs) are deemed to be profits of a UK property business, and paid under deduction of basic rate tax. Because PIDs are a distribution of profits, the title to which is constituted by shares (see definition of 'dividend' in Article 10 of the OECD Model Treaty), relief from UK tax must be considered under the terms of the dividend article of each Double Taxation (DT) treaty. Although PIDs are deemed to be property income for UK tax purposes, the source of the income is the company paying the dividends (rather than the property owned by the company). For that reason, PIDs do not fall within the Income from Immoveable Property article of a DT treaty. A UK-REIT may also pay a dividend to which a one-ninth tax credit is imputed. It is important to note that, as with all other dividends that are paid by UK companies, no tax credit is available to pay to a non-resident shareholder who receives such a dividend. Please see the further information about dividends and tax credits. DT treaties contain a variety of different forms of words in the article dealing with dividends - many of which limit the amount of tax that may be charged in the UK. For that reason it is necessary to consider the terms of each treaty. The DT Digest (PDF 168K) shows for each treaty if relief from UK tax is available to a resident of the other country who is paid a PID by a UK-REIT and, where appropriate, the amount of tax that will be retained under the terms of the dividend article. Treaty claims must be made in respect of each dividend - but any number of PIDs can be included on a single claim form. Directions under the terms of SI1970/488 to operate nil or reduced rates of deduction will not be issued to the UK-REIT. Some non-residents of the United Kingdom qualify for personal allowances to set against their UK taxable income. If the investor has unused personal allowances they may claim repayment of some or all of the tax that is deducted from PIDs. The DT Digest also identifies, for each territory, the availability of personal allowances. Non-residents must claim personal allowances and/or treaty benefits from HMRC in the usual way. UK-REIT DT Individual and UK-REIT DT Company forms are available by visiting the Claim Forms page. These forms will also be made available in languages other than English. However, residents of Switzerland must send all claims to the Cantonal tax authorities for certification. A number of 'country specific' UK-REIT claim forms will be published in due course. The claim form R43 and Notes for tax year 2006-07 contain sufficient information about PIDs to allow qualifying non-resident individuals to claim relief from UK tax using personal allowances. The Self-Assessment Help Sheet IR304 for 2006-07 and subsequent years also includes information to allow a claim for DT treaty benefits to be made.